Ultra-shimmery texture provides sparkle and elegant radiance as it softly fits skin like satin. 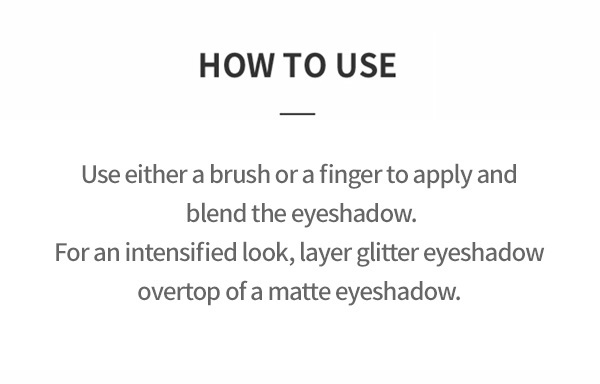 With a brush or your finger, apply an appropriate amount on the eyelids in a blending motion. Layer on the pearl-free texture to express deeper splendid makeup looks.